I love mount making – it’s an amazing way to really understand a costume and wonderful to see it come to life on a mannequin. I learned most of my mount making skills on the job and thought I would share some of the links and tips I have found on the way! Opening night of Dance We Must for which I was co-curator and costume mounter. Photo by Christopher Duggan. Even in this wonderful digital age I still love books – and somehow feel reassured when I have a book on a subject. I can highly recommend these two books. 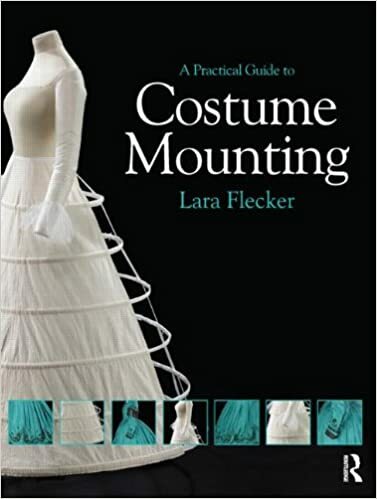 A Practical Guide to Costume Mounting gives a range of patterns and solutions for mount making. 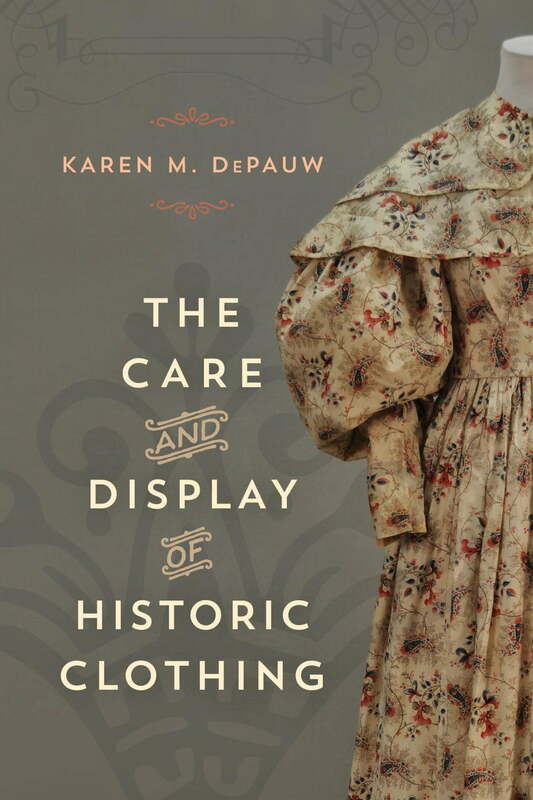 The Care and Display of Historic Clothing is a great handbook covering all aspects of historic dress management and display. I bought my copies on amazon. Ethafoam is an amazing solution for awkward mounting problems – it is easy to carve, light weight and archival. You can buy it in planks which can then be cut to size. For Dance We Must we wanted to displayed a series of briefs and trousers which required custom mounts. To make these I cut discs of ethafoam (corresponding to the waist, hip and thigh measurements of the clothing) and glued them together with archival hot glue. I then carved the discs to form smooth lines. Finally I covered the ethafoam form in black jersey, stuffing it with polyester wadding to create a smooth surface. Finally a pole was pushed into one leg and glued in place. For these suspended trunks I used the same technique but covered the form with white jersey. In the waist and thighs eye screws were glued in. During installation monofilament was attached to these and the forms were suspended from the ceiling and to the platform deck. One of my favourite recent discoveries is fosshape – this stuff is totally incredible – and an amazing mount making solution. This is a great video by Jim Williams, Exhibition Designer/ Preparator, Kent State University Museum- from the International Mount Makers Forum held May 5th 2016 at The Cleveland Museum of Art. It was this video that taught me how to use fosshape! For Dance We Must I needed to mount this heavy and very fragile bull fighter costume. I was very concerned about how to display the trousers – which were silk jersey embroidered with heavy metallic embroidery. To solve this problem I made legs out of fosshape which I attached to my existing hard foam mannequin, covered in jersey and slightly padded with polyester wadding. This allowed the trousers to be supported all the way down the leg. I made the arms from polyester wadding covered in jersey. Fosshape is also a great way to adapt shop bought mannequins. For this costume I made sleeve supports and extended the hips of the mannequin out of fosshape. Paper wigs are a great way to finish a mannequin in an unobtrusive way – they become part of the mannequin rather than detracting from the costume. Here are some great links for tips on making paper wigs. One of my key tips if you are mount making on a budget is that pool noodles covered in tights/pantyhose make great mannequin arms! *Photos taken as part of the project Dance We Must: Treasures from Jacob’s Pillow 1906-1940 between Williams College Museum of Art and Jacob’s Pillow Dance Festival.